Cart abandonment is a phenomenon that is much rarer in the world of physical retail than it is online. I mean, how often do you see hordes of people in your local supermarket spontaneously abandon their half full shopping carts and just walk out? Not often at all, we suspect. But this is precisely what is happening online, a lot. The reasons are numerous and dependent of the type of eCommerce site as well as the industry and country it operates in. We've talked a lot about conversion optimization and its various faces, in this article we're going to expand on this by establish the size of the problem of cart abandonment. But, we'll spend the largest portion of the post uncovering and explaining actionable steps you can take to markedly reduce the cart abandonment rate of your eCommerce site. Whether you like it or not, you are most likely suffering from this phenomenon. But why? Cart abandonment happens when a consumer adds item(s) to their online shopping cart but doesn't take any further steps to complete the transaction. Instead, they abandon the site, leaving their cart out cold and alone *tear*. Baymard conducted a fascinating and exhaustive study in which they methodically collected cart abandonment stats from thirty-one research sources that had done research on cart abandonment. These sources included some big names like Marketing Sherpa, Forrester, and IBM. Well, it’s even worse than we originally hypothesized. The average cart abandonment rate was 69.89%. We’ll let that sink in for a moment. What this essentially means is, on average, approximately only an abysmal 1 in 4 people that actually place products in their online cart actually go all the way through the process and buy. Put another way, CPCStrategy found that, typically, online retailers lose an astonishing $18 billion dollars yearly primarily due to shopping cart abandonment. Of course there are outliers, with some industries or specific eCommerce sites having spectacularly low cart abandonment rates and others that have a rate significantly higher than 69.89%. But like we said, those are generally outliers. The average number is significant, a classic case showing that bigger is indeed not better.￼￼ The issue of cart abandonment is more known among eCommerce business owners in the dawn of online retail's inception. This is thanks, in part, to recent wider spread publicity of the issue coupled with an influx of tools and training programs to tackle it. And arguably most notably because of the growth in the understanding and appreciation of conversion rate optimization (CRO) as a discipline. However, despite all of this, many eCommerce businesses are aware of this looming problem but don’t realize how critical the issue is and how it’s likely costing them sales. This means they are losing valuable revenue every single day. 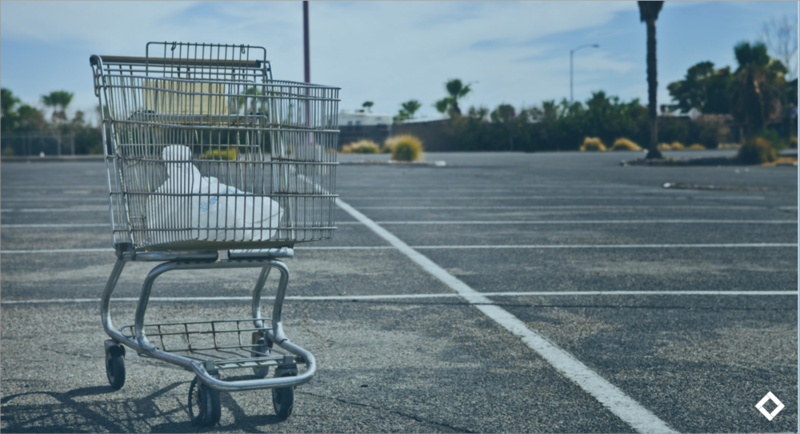 So now that you are acutely aware that cart abandonment is a big problem, I’m sure you want to know what on earth you can do to effectively tackle and lower it for your business. The web is a minefield of advice from so called “experts.” Some even claiming they can show you how to lower cart abandonment rates with one click, which will instantly lead you to an influx of new sales. Unfortunately, there is no quick one-button fix. The good news is that there is a large number of more proven, tested, and well-documented techniques that you can deploy to help lower your cart abandonment rate. Of course, some techniques will work better for some than others, as every business has its own unique DNA and quirks. This is why we have focused on the most documented and most mentioned cart abandonment reduction techniques, as we believe that these have the largest chance of having the quickest positive effect. We encourage you to explore and discover other things you can do to lower your cart abandonment rate that are beyond what we mention in this article. But this article provides a good base. So without further ado, here are the five things we believe have the best chance of lowering cart abandonment and increasing sales for your eCommerce business. 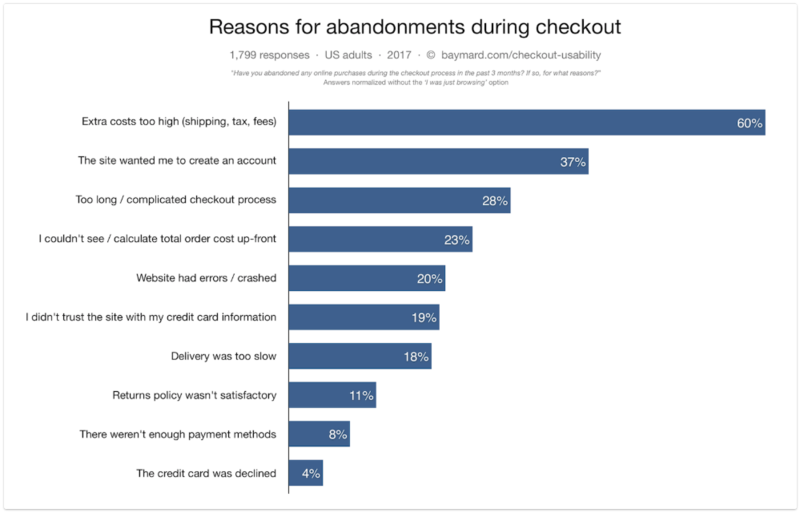 The Baymard study mentioned above found that a whooping 37% aborted ship because the site required making an account and 28% found the checkout process too long or complicated. This numbers are concerning and show a lack of listening from the retail side. eCommerce sites should improve the fluency (aka flow) of the customer's journey! Why is this still happening? The article you're reading right now was originally published in 2015, over three years ago. And since then, as we see with the updated stats, the problem has only intensified. The majority of online retailers desperately want the consumer to register with them so they can easily provide them with post sales and delivery tracking information. Plus, they can send them marketing emails and better tailor their future visits. Ironically, however, if they push the customer too hard to create an account first, then the sale is likely to not be made at all. eCommerce businesses need to carefully weigh their priorities. Would they rather push all new customers to create an account, causing fewer sales to occur. Or would they rather give the customer the option of creating an account at a later date and buying as a “guest” immediately, which doesn't require filling out laborious forms. In this second instance, the business is putting the immediate sales motive above the account creation motive. Many eCommerce businesses, especially the large ones, now have guest checkouts where the customer can buy an item without filling out a long membership form. This removes that added friction from the sales process. These businesses have put the immediate sales motive above the account creation motive. And, as a result, most will reap the rewards of greater sales. 2. If You Can Offer Free Shipping, Do It! This brings us to the next critical point, the number one reason people will abandon their cart: costly shipping. Giving the consumer the option of free shipping can significantly reduce cart abandonment and consequently, boost sales. A study conducted by UPS uncovered that free shipping was by far the “most preferred” option amongst consumers when they shop online. Offering free shipping, if you can, can make a big difference to your monthly sales numbers. You're on a fashion retailer's site and and to buy a beautiful pair of red shoes. You're in luck, they are reduced from $100 to a mere $50. Winning! This price cut is all you see on the page, so you say, "hell yeah!" and proceed to checkout. Unfortunately, upon happily clicking "checkout," you are presented with a shipping cost that pushes the total price to $75.00! This is definitely going to change your perception of the deal you originally thought you were scoring (cough cough anchoring). With this unfortunate turn of events, you're most likely going to leave the site and, honestly, probably never return. The above scenario is being played out countless times all over the internet, causing retailers to lose significant amounts of money as a result. As reported by Shopify, Worldpay conducted a detailed study on online shopping behavior and cart abandonment across 19,000 consumers. So how can you tackle this and lower cart abandonment as a result? Simple. Display the whole cost of the product upfront on the product page and spend more time explaining the reasoning behind the cost on the same page. That way, the consumer will be able to make the most informed decision upfront based on all the cost information. So no more nasty surprises! We understand that for some of the larger eCommerce stores, changing the way thousands of pages operate and function so they display more information upfront may be a big task, and a risky and costly one at that. So we recommend testing showing the whole cost upfront for a handful of items and see the effect it has. If it’s positive, then consider rolling it out to more products. Assuming your site is registered with one or more security bodies and agencies (e.g., Escrow, SSL), then it's a good idea to display these icons/logos prominently on your sites main pages. Having these prominently displayed trust marks ranked even higher in importance than having well known branding and having a fast site speed as a factor that increased trust. If you want people to actually pay for your product or service, then you’ve got to, you know, actually make it easy for them to pay. You need to provide several ways for a consumer to pay, but not so many ways that they feel overwhelmed and have to swim through a sea of payment methods. It’s a fine line. A retailer that has a sizable number of payment options is Walmart. They even accept checks. Yes, checks still exist (and are actively used in the U.S.). 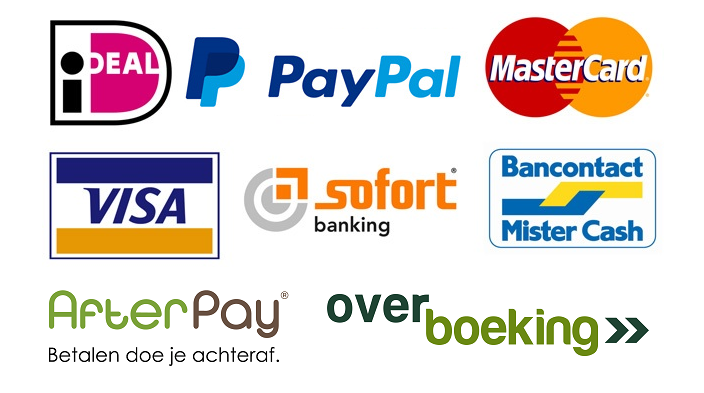 The countless eCommerce sites out there that only have one or two payment options may be alienating a portion of their potential customer base without even realizing it. Walmart realized there was a portion of the market that they were losing sales from by not having the option to pay by check. So, like Walmart's, there could be a portion of your market you're losing sales from because you're not offering a specific payment method that is popular amongst that demographic. The best way to uncover this is through market research and surveys to find out and invest in a new payment method if needed. It could result in markedly fewer abandoned carts. We hope this article has gone some way in highlighting what a big issue cart abandonment is. More importantly, however, we hope the article has provided you with some actionable insights with regards to how you can go about tackling the issue of cart abandonment in order to reduce it and thus increase your eCommerce businesses sales. Cart abandonment is a big problem that isn't getting better. Since the original time of publishing (2015), the amount of abandon carts has only increased. Improve the checkout rate by taking out as many steps as possible in completing checkout. Don't lose customers by having a shipping rate that doesn't match the competition. Show all the necessary information on the product detail page, no curve balls. 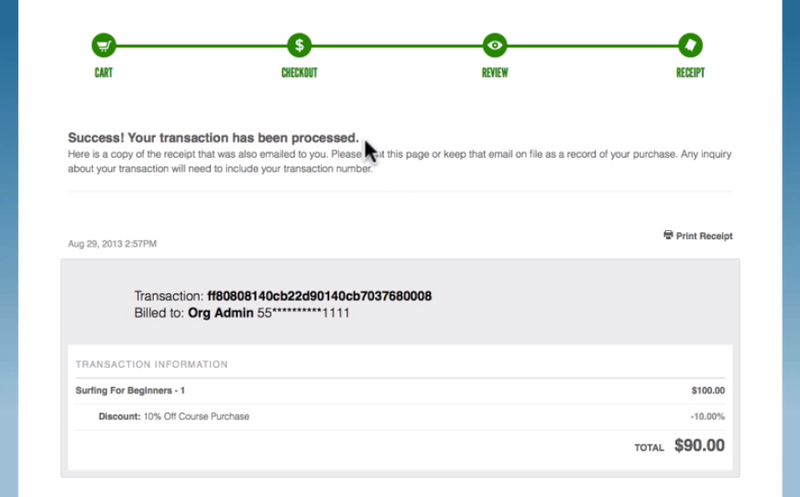 Use trust symbols throughout you site and pay special attention to symbols on the checkout page.